"Headquarters will finish the job." "We have a secretary for that." "The management group does that for us." I've heard all variations tossed on the board table. Sometimes, I sense the board of directors feels superior to the staff, doesn't understand the relationship or dismisses the respect they have earned. Whether it is a staff of one or a team, they have the unique skills and the education to manage a not-for-profit, exempt organization. Staff are integral to the success of an organization. Many are experts in governance, event planning, membership service and marketing. Demeaning comments by a board of directors percolate to the staff. They are quick to sense disrespect. As associations have established themselves and become essential to their communities, references to staff have changed. Long ago, many associations were considered clubs, and the administrator was the "club secretary." They were seldom invited into the board meeting. As associations grew in stature, the club secretary became the "executive secretary." Through the years, the title transitioned to "executive director" and "executive vice president." Today's boards realize an executive is integral to success. The executive director is charged with managing the association in accordance with the direction of the board of directors. They should be respected by internal and external audiences as a spokesperson for the organization. It takes a partnership to advance the mission and goals. Working together the board and staff produce results for the community they represent. The board's role is to govern. They make governance decisions that represent membership interests, as prescribe by corporate law. If the board will set the destination, then the staff will work to implement the most efficient ways to reach that destination. A board develops a strategic plan so committees and staff can advance the plan. The role of the staff is to manage. They best know the history, resources and strengths of the organization to advance the mission and goals. 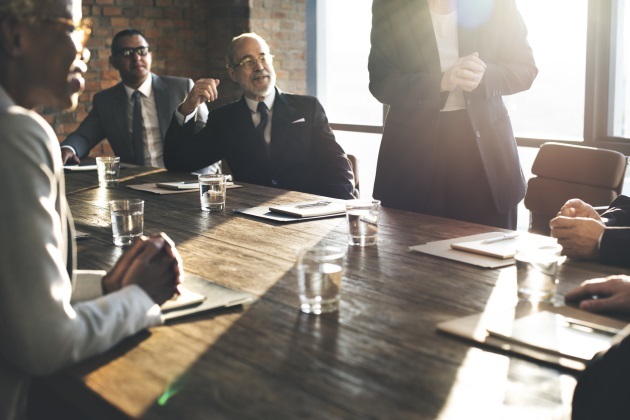 Leaders should pay particular attention to the use of the word "staff," especially if the profession is hierarchical and staff in the profession mean less than the professionals it represents. Given the partnership between board volunteers and association professionals, one legal bar association has replaced the word staff with "internal team" to cast a spotlight on the importance of the partnership, clarifying that the staff team does not work directly for volunteers — rather they work in partnership with volunteers. A culture of respect among all components of the workforce is a priority. With the transition of board members, it may require an annual discussion to blend the team. Recognize signs of disrespect. They may be evidenced in receiving the recommendation of a committee and dismissing their work. Or distrust among board members. Breaches of confidentiality would fit in this category. Another example is disregard for a category of type of member. Since the theme of this article is developing respect in the association team, avoid statements such as, "Let the staff finish the project for us." Boards should realize the importance of staff and their partnership in achieving desired results. Ellen M. Miller-Sharp is the executive director/CEO of the San Diego County Bar Association.